It’s cross country season again, and even though preseason practices have only been going for a few weeks, thoughts of this Fall’s harriers and their potential have been racing through the minds of coaches and athletes alike. 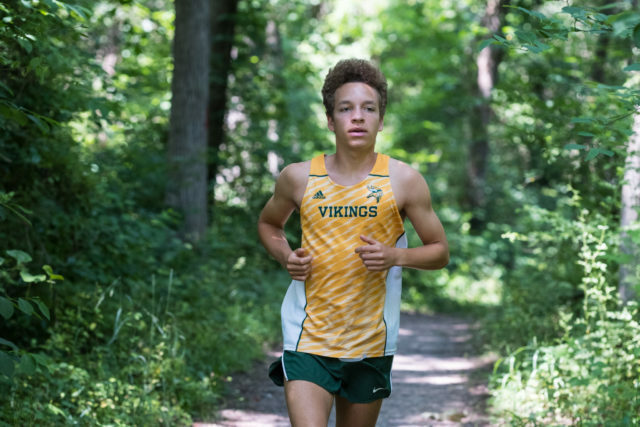 With a national title contender in the Loudoun Valley boys team, a four-time Maryland state champion in the Walter Johnson girls team and a handful of runners who can make noise at the regional and national level, the D.C. area’s cross country scene looks primed for another great season. Cayenne-McCall has moved out of the country and another runner will likely be added in her stead. It sets up races like the Oatlands, DCXC, and Glory Days invitationals as the sites of some of the best racing in the Mid-Atlantic. Those first races, opening the curtain to see how people have progressed from last track season, will be something to see, and there might as well be artists waiting at the finish lines to paint targets on the winners’ backs. RunWashington’s coaches panel met for the fifth year to determine the 10 best runners among girls and boys in the D.C. area to compose the All-RunWashington team, and the seven in D.C., the Maryland suburbs in Montgomery and Prince George’s counties and Northern Virginia who are poised to take a shot at moving up. Those decisions were based on the performance of local cross country runners during the 2016 season, while observing trends during the 2017 track seasons. Runners who had not yet run for local teams but had moved into the area were not considered. Thank you to Chris Pellegrini (West Springfield), Scott Silverstein (Winston Churchill), Kevin Hughes (Georgetown Visitation), Kellie Redmond (T.S. Wootton), Cathy Walls (Bishop O’Connell), John Ausema (Gonzaga), Steve Hays (Walt Whitman), Anthony Belber (Georgetown Day) and Mike Mangan (Lake Braddock) for their time, expertise, counsel and judgment in helping select the preseason runners. Please note that the lineups will be different than what appeared in the print edition, following several runners’ decisions not to run cross country late in the summer or departure from the D.C. area. 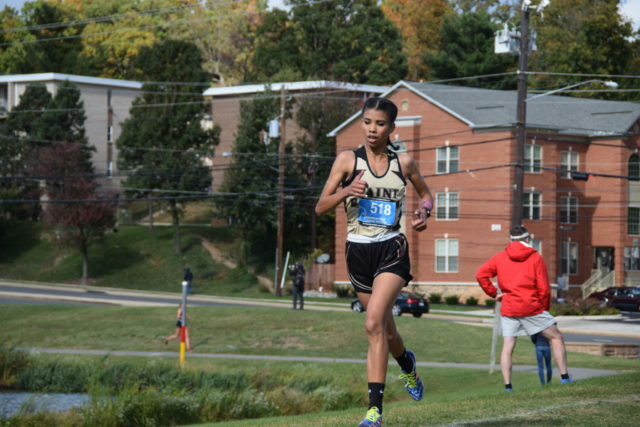 No season exists in a vacuum, and even though he has graduated, Richard Montgomery’s Rohann Asfaw played a big part in two Maryland runners’ breakthroughs last season. 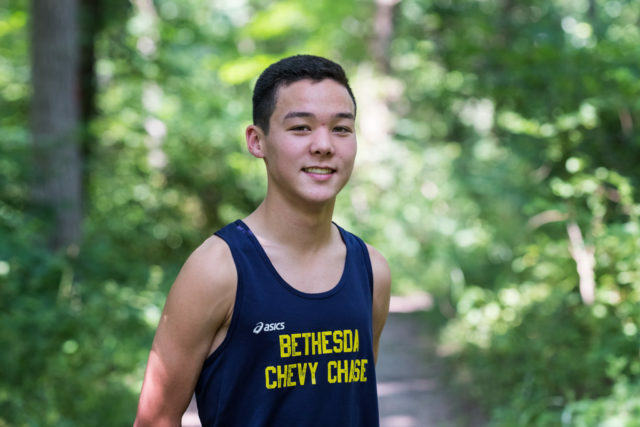 Adam Nakasaka, a senior at Bethesda-Chevy Chase, took his shots at Asfaw every chance he could get, hoping one day he would break through and catch him. He didn’t, but in doing so managed to get the edge for second at the Maryland 4A state meet. He went on to finish 33rd at the Nike Cross Southeast meet, and was again runner up in 4A in the indoor and outdoor 3,200 meters. He impressed himself the most, however, with his winning anchor in the state indoor 4×800. “I’m not exactly known for my speed,” he said. 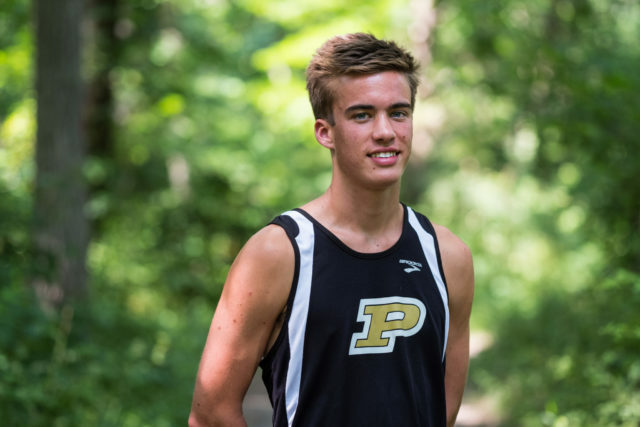 Ryan Lockett, back at Poolesville for his junior season after a year at Gonzaga, took off after he broke 16:00 to finish second at the Montgomery County championships. That gave him a jolt of confidence heading into the 3A West region meet. He won, and then won again, running 16:00 at the hilly three-mile Hereford course, faster than Asfaw’s winning time in 4A. At the Montgomery Invitational indoors, Lockett took a fearless approach to Asfaw, who was “untouchable.” Lockett ran like he had nothing to lose and came within a hair of catching him. Then, a few days later, he beat him for the first time at the Montgomery County championship 3,200 meters. Lockett won the 1,600-3,200 double at the 3A state meet, but was disappointed by early season races. A surprise win in the Viking Invitational elite mile, in 4:16, raised his confidence for the Penn Relays 3,000 meters. And he needed it, coming in as the second-to-last seed. He ran like it early, sticking to the rail in the back of the pack, but moved up steadily until he was in the lead with a lap to go. He didn’t pull it off, but he came away having run 8:24. He followed that up with another 1,600-3,200 double at the state meet, including a 1-2 finish with teammate Andrew Lent. “He helped me so much all year, and to turn around and see him, having blown the rest of the field away, was amazing,” Lockett said. Lockett went on to finish third in the 3,200 meters at New Balance Outdoor Nationals. Yasmine Kass has been part of building a legacy at Paint Branch. Before she and 2015 All-RunWashington honoree Beth Taye arrived, their team was best known for sprinting, but those two have started a new trend for the Panthers. Kass always knew that she had a lot of endurance when she did different sports in her youth. She excelled at Girls on the Run and after running a few community 5ks, she decided to run cross country in middle school and kept it up until high school. Now that Taye is off at NC State, it’s Kass’s team, and she adjusted to being alone on longer training runs. 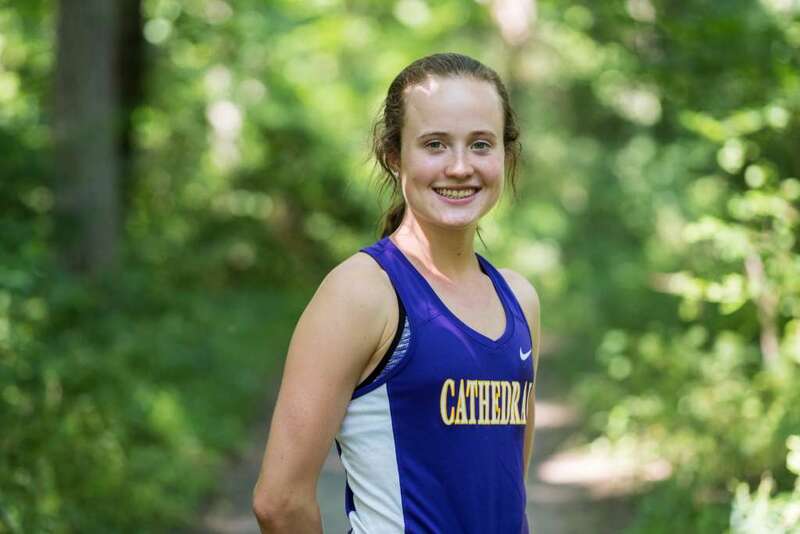 She considers herself more of a track runner, and has excelled at flat, faster races, like the Montgomery County cross country championship last year, where she was runner up to Abbey Green. Though she wasn’t happy with her race at the state meet, she looks forward to the Hereford course to start closing out her senior year. She made up for it with a 38th place finish at Nike Cross Southeast. Kass finds her sweet spot in workouts that involve both tempo-paced work, which she considers her weak point, and mile/800-paced speed work. She still considers cross country to be a work in progress for her, but after three years, she’s getting the hang of it. 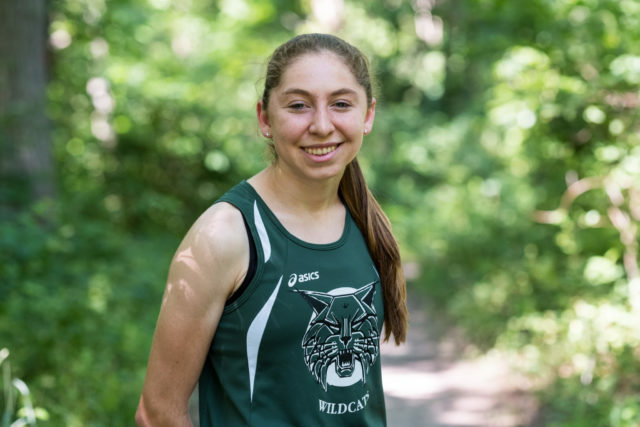 Green has been leading the way for Walter Johnson since her first race as a freshman, and as a junior was Montgomery County’s first female Foot Locker qualifier in at least 18 years years, where she finished 21st at nationals, ahead of Heather Holt and Page Lester. “I’d never been in a race like that, where everyone is faster or as fast as you are,” she said. Green won the Montgomery County championship for the second straight year, and remains undefeated at the 4A West regional. Last summer, she got out of the pool and started running for her base training, rather than just swimming. She managed to catch her rival from Annapolis, Maria Coffin, at the indoor and outdoor state championships, winning the 2 mile and 3,200 meters. She later qualified for the Pan Am Junior Games in the 3,000 meters. 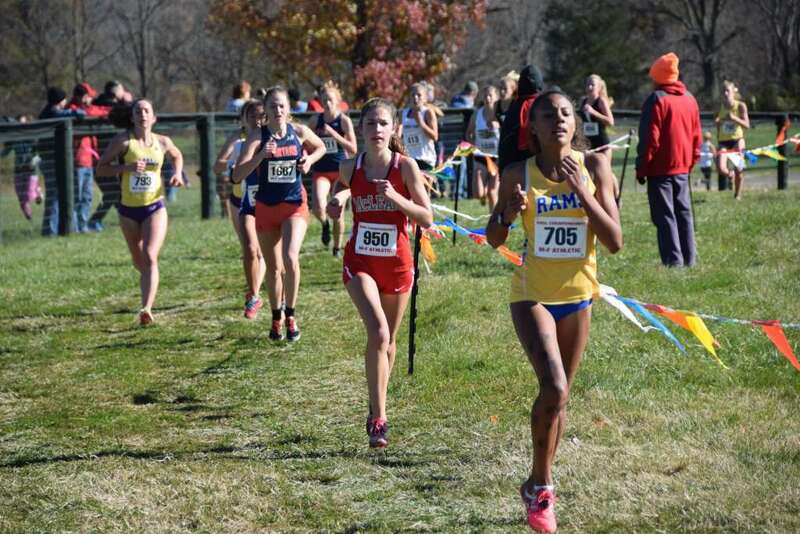 National Cathedral School senior Page Lester was the first D.C. girl to qualify for the Foot Locker finals last year following a late start to her season thanks to some injuries in the summer. She’s on the same track this year, having taken the track season off to recover from shoulder and hip injuries suffered during triathlon training. “It’s nothing major, I just wanted to make sure I was all healed,” she said. After starting her cross country career as a front runner, Lester started running negative splits during her races, which worked up until Foot Locker nationals, where she finished 32nd. A Poolesville teammate of Lockett’s, junior Nandini Satsangi, has been running since deciding that the walk to elementary school was too slow for her. “I would run to the end of the block and then my mom would tell me to stop,” she said. Now, she is a fan of point-to-point running, sometimes up to 10 miles to get to her pool. 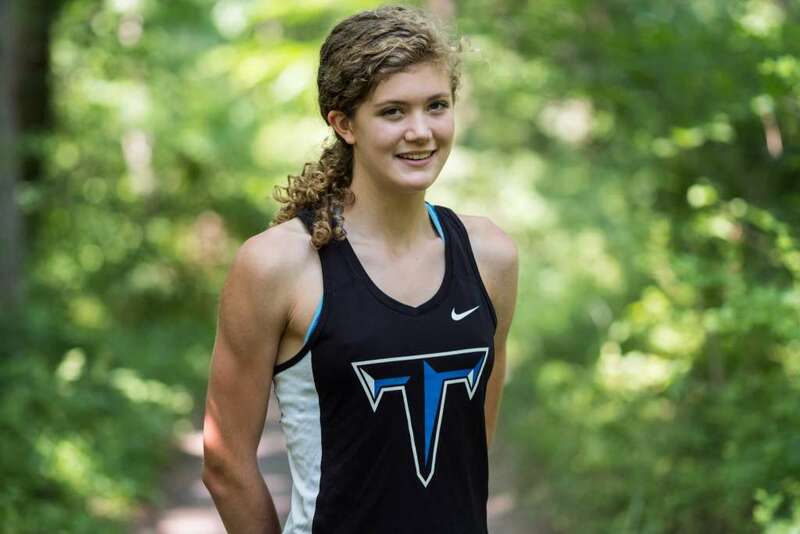 She was the Maryland 3A cross country runner-up as a freshman, had a tough race at the state meet as a sophomore, but finished second at the DCXC Invitational to Tuscarora’s Ava Hassebrock for the second straight year. Satsangi closed out her sophomore year by winning the Maryland 3A outdoor 3,200 meters. 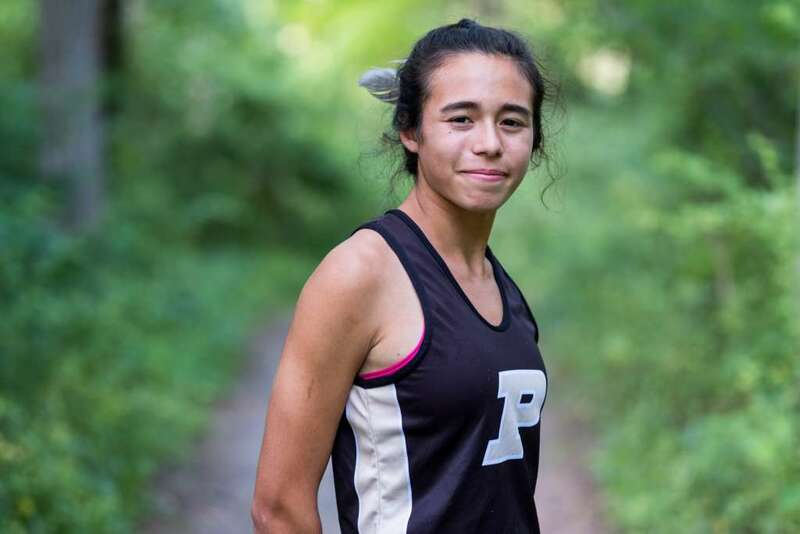 Across the Potomac River in Leesburg, Hassebrock started feeling at home running cross country, which she picked up in lieu of playing volleyball. 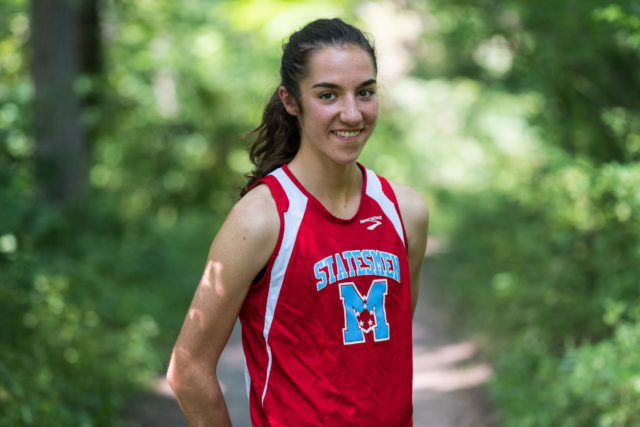 In her first two years, she recorded two fifth place finishes at the Virginia 5A championships, along with wins at the freshman and sophomore races at the DCXC Invitational. Tuscarora was second in Virginia 5A last year, and with George Marshall moving to 6A for the postseason, the Huskies will lose one of their big rivals over the past few years. Hassebrock said the amount of preparation that coach Troy Harry puts in lets her focus on the technical aspects of the race and waste little time worrying. “He lets us know who’s in the race, who we should look out for, and he can judge pretty quickly what kind of training will work best for you,” she said. 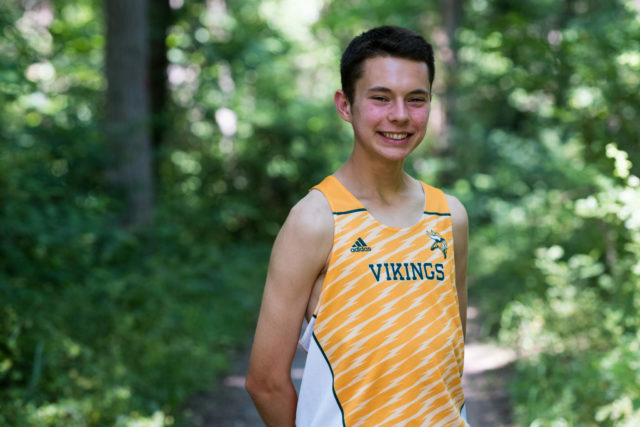 Northern Virginia continues to cast a long shadow over the region’s cross country community, playing host to all major invitationals aside from DCXC. 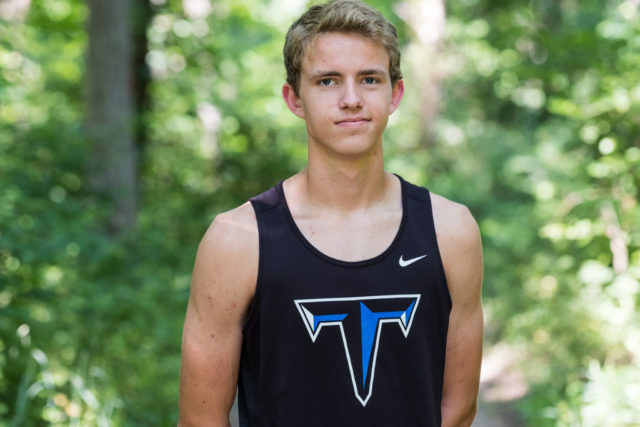 Despite feeling “off” most of last season Tuscarora senior Derek Johnson managed to win the DCXC Invitational junior race and finish sixth at the 5A state meet. He followed that up with a 9:14.98 3,200 meters at the Dogwood Track Classic and a fourth place finish in the event at the 5A state meet. He was more assertive throughout the season. 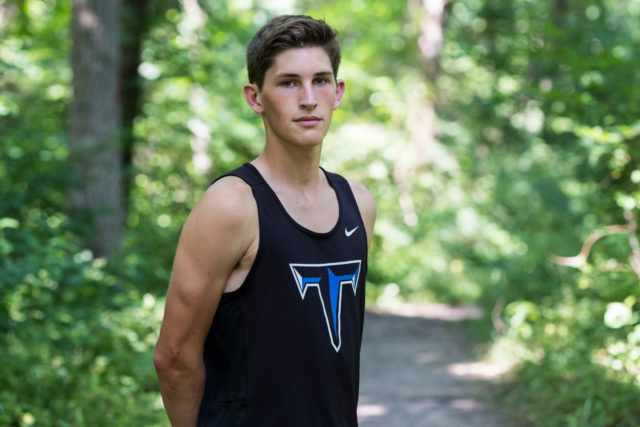 He has gained a solid training partner in fellow senior Ben Nibbelink, who spent most of his junior cross country at Tuscarora behind the eight ball, a little short on base training after recovering from a stress fracture at the end of the prior track season. 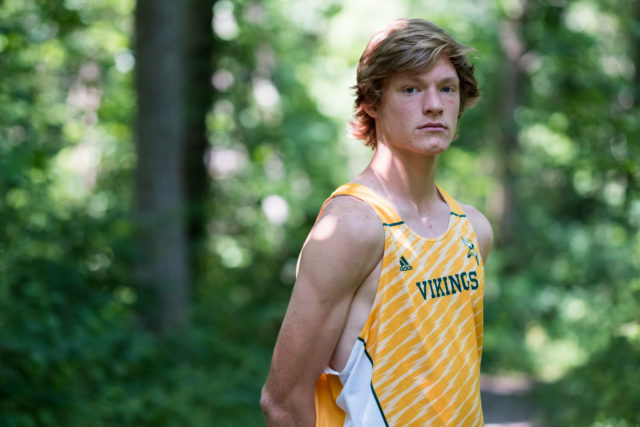 His 23rd place finish at the 5A state meet did not portend his 9:10.60 3,200-meter win at Dogwood, ahead of Johnson and fellow All-RunWashington honorees Peter Morris and Colton Bogucki from Loudoun Valley. 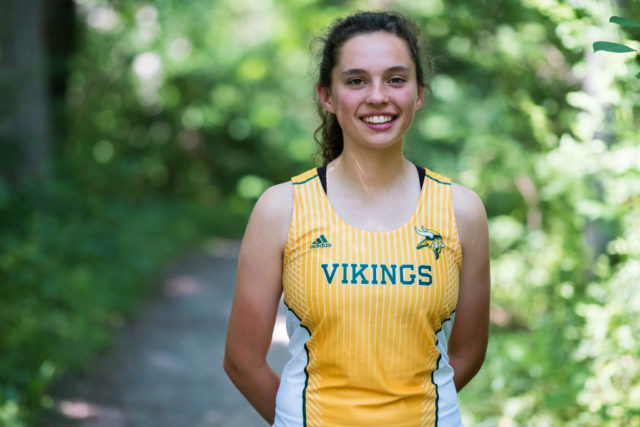 Loudoun Valley senior Natalie Morris recorded 4A runner-up finishes in cross country and the outdoor 1,600 meters and 3,200 meters, along with third place in both distances during the indoor season. She was 38th at Nike Cross Southeast. She and her twin brother, Peter, have been running for three years, and she has gained a passion for it. She has led the Lady Vikings to two straight 4A runner-up finishes in cross country. Still, she thinks her peers at school underestimate running. 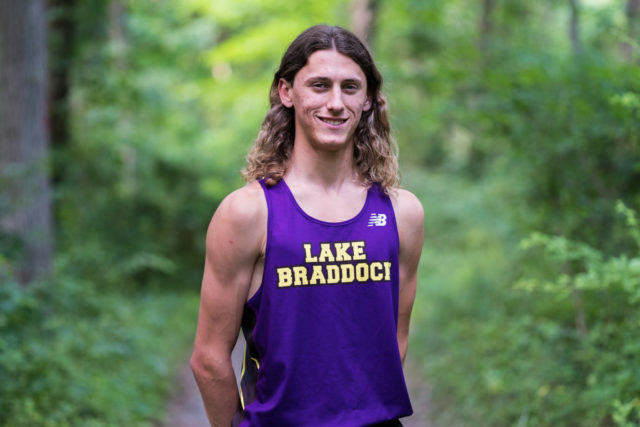 Lake Braddock senior Samantha Schwers had no interest in running early on, but her soccer coach’s daughter suggested she give it a try. Though she didn’t like it initially, her mom made her stick with it, and before too long the social aspect of running won her over. A stress fracture before soccer tryouts kept her off the field. She turned to track when she was healthy and hasn’t looked back. She finished sixth at the Virginia 6A cross country meet last Fall, helping Lake Braddock to its second straight title, and finished 26th at Nike Cross Southeast to help the Bruins to a national berth. Schwers feels she is best at the 800 meters, in which she was runner-up at the 6A outdoor state meet and ran a 2:12.89 personal record and won the Northern Region in that event. Tyler Lawson was hooked on running after a few community 5k races as a kid, but didn’t formally train until joining the Lake Braddock cross country team as a freshman. “I just really like being able to push myself, to see what I can do,” he said. He was third in the outdoor 3,200 meters this Spring, and eighth as a junior in the 6A cross country state meet, and with champion Oscar Smith moving out of the state, he is the second-ranked returning runner, after Oakton senior Ahmed Hassan. 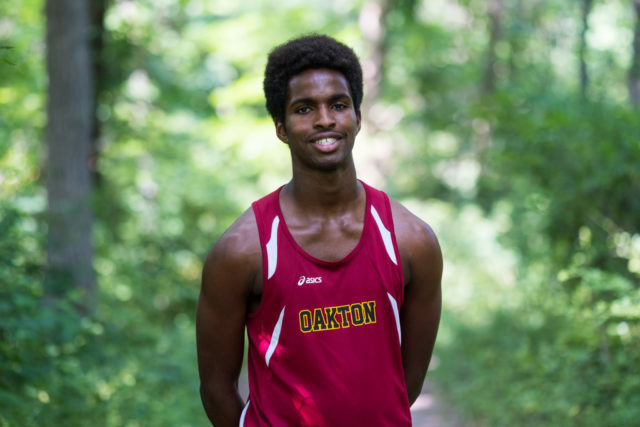 Hassan won the Dogwood 1,600 meters, running 4:12.87, after winning the indoor 6A 3,200 meters, getting sixth in the Penn Relays 3,000 meters (8:31.10), and finishing fifth at the 6A cross country championships. “Dogwood was where everything was clicking. I had a high mileage week and I ran 4:12,” he said. 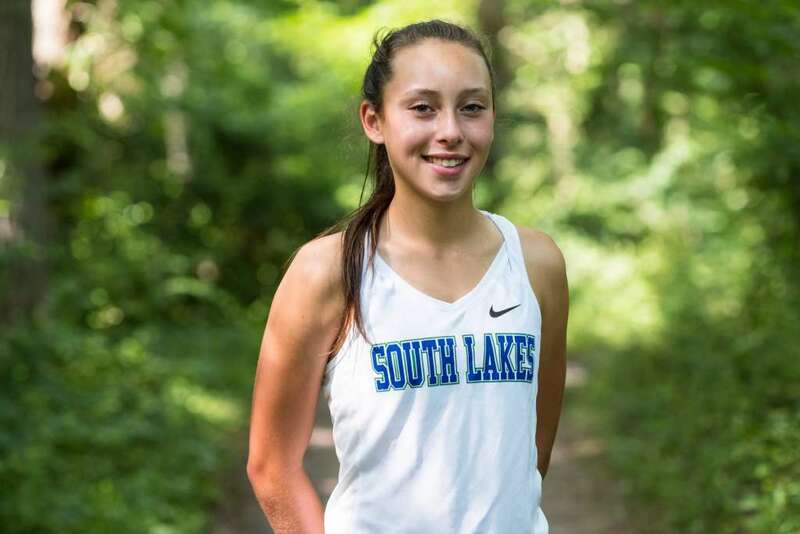 Olivia Beckner joined the South Lakes cross country team because her mother made her, then she struggled through injuries for the first two years. She broke out as a junior, finishing fourth at the 6A state meet and 18th at Foot Locker South. 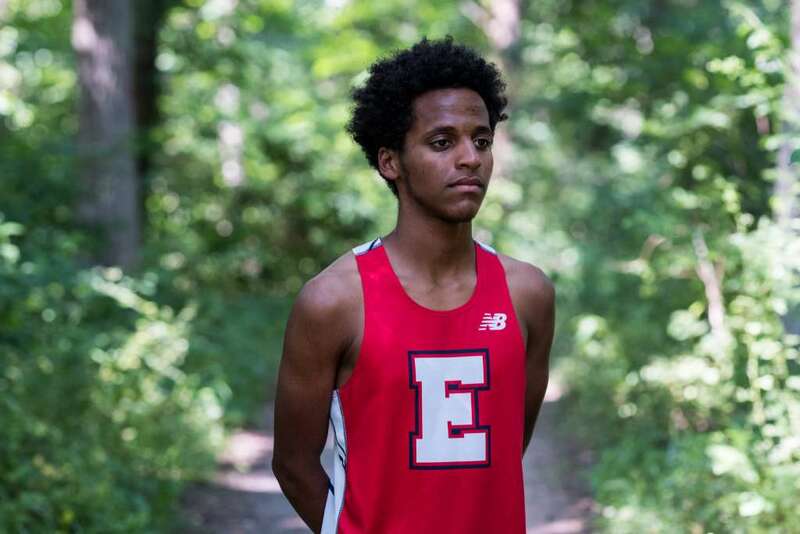 Although many of the All-RunWashington team members tended toward the Nike Cross Southeast Meet, Edison senior Yared Mekonnen, who ran Nike last year, is aiming for the Foot Locker finals in San Diego, hoping to follow in the footsteps of 2014 Edison graduate Louis Colson. He finished 28th at Nike Cross Southeast, fifth at the 5A Virginia cross country championships and seventh in the 5A 3,200 outdoors. It’s a long season, so Mekonnen is planning to increase his intensity slowly but steadily. “The key for this season will be patience,” he said. Heather Holt reclaimed, as a junior, the state individual title she had won as a freshman. This time, though, her single point in the scoring led George Marshall, in only its third appearance at the state meet, in winning the 5A title. Holt honed her skills by focusing on different aspects of her race every time she was on the course, which eased her nerves. 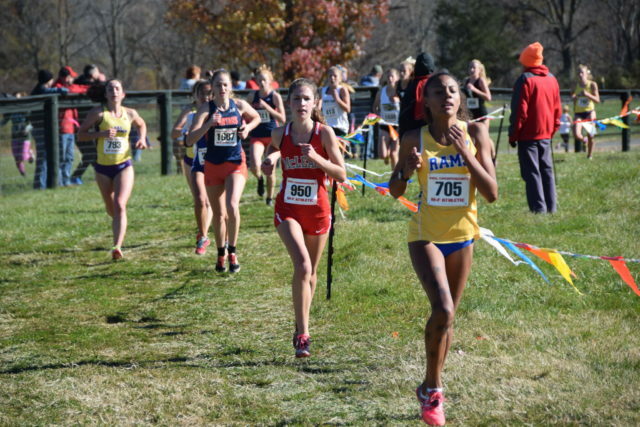 She was a close second at Foot Locker South, and went on to finish 27th at nationals. Marshall, along with the school currently known as J.E.B. Stuart (it will be getting a new name within two years), will compete in the 6A postseason. Nearby at McLean, junior Caroline Howley came to the Highlanders with some familiarity with the program. For starters, her sister ran, which drew her to the sport and gave them a year on the team together. When she got there, Megan Ney, her Girls on the Run coach for two years, was now the varsity cross country coach. Though she made the 6A Virginia state cross country meet as a freshman, strong winds pushed her around. Though she came into her sophomore year injured, she considered it a blessing in disguise. She redeemed herself at the state meet, finishing 11th. Then, at Nike Cross Southeast, she finished 23rd. Check in later for more about three more All-RunWashington team members. 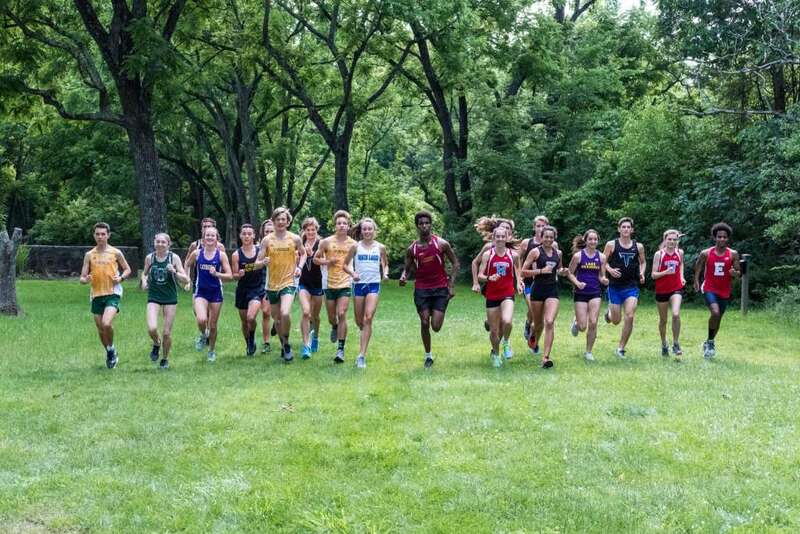 This article originally appears in the Fall 2017 issue of RunWashington, but has been updated to reflect runners competing in the upcoming cross country season.